Dmitry Itskov wants to live forever. 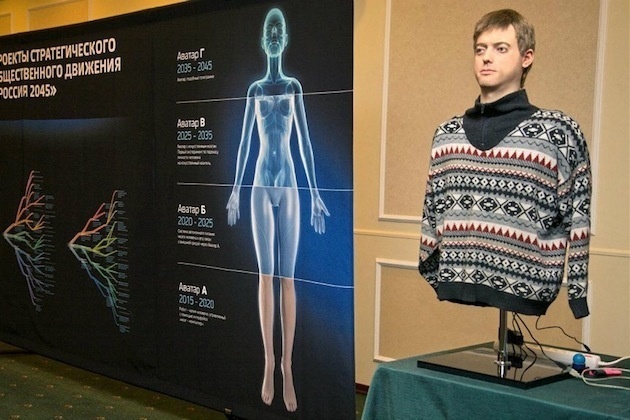 The 32-year-old Russian billionaire and media mogul thinks he can do this by building himself (and everyone) an android body by the year 2045. There are a few flaws to Itskov’s idea, but that hasn’t stopped more than 20,000 people from publicly supporting the site outlining his plan of using android bodies for immortality. 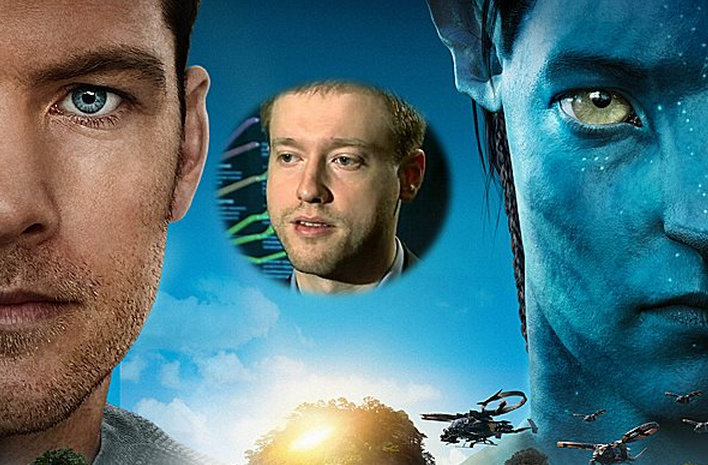 Dubbed the 2045 Initiative, Itskov is selling his idea as the "next step" in human evolution, or "neo-humanity," as he refers to it. It doesn't stop with android bodies, either. The 2045 folks are also calling for a new religion and set of ethics because they don’t believe any of the current ones can handle the societal implications of living forever—as most of the current ones have you dying first in order to achieve immortality. But let’s back up a second. How exactly does Itskov plan to become immortal? 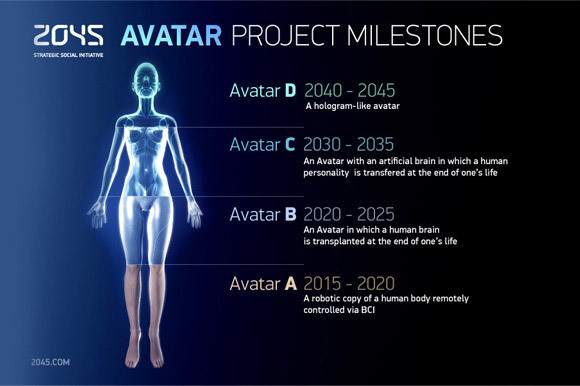 "The main science mega-project of the 2045 Initiative aims to create technologies enabling the transfer of [an] individual’s personality to a more advanced non-biological carrier, and extending life, including to the point of immortality," reads his site. Itskov is calling his artificial "advanced non-biological carrier" body an "avatar," which is controlled by a “brain-computer interface.” It functions more or less like the fake bodies in the 2009 James Cameron movie of the same name. Did Itskov get his idea from watching the movie? The photo on his public Facebook page, would suggest that yeah, he probably did. But this isn’t just a hairbrained, movie-inspired scheme for Itskov. He’s really thought it through, and has an impressive cast of experts on board. He's even met the Dalai Lama and gotten his blessing for Initiative 2045. “We are facing the time where the unconscious evolution period has almost finished, and we come to the new era, a new period of controlled evolution,” says Itskov in a video interview. By 2020, Initiative 2045 aims to make this avatar technology widely available and mainstream—never mind that’s seven years from now and a working prototype doesn’t exist yet. To help realize these goals is the Global Future Congress, which held its first meeting in Moscow last year. The congress will meet again in New York City this June, where it promises to unveil the most human-like robot the World has ever seen. Conspicuously absent among all of Itskov’s writings, as well as among all the scientists, philosophers and spiritual leaders speaking at this year’s conference, are experts on cyber security and the Internet philosopher-types who love pontificating on the effects of connecting the brain to the Internet. Another curious omission is with the groups Itskov is currently working with: he's focused on transhumanists and philosophers, but as yet he doesn't seem to have tapped into the hacker world. There are a whole lot of people out there interested in mind hacking, and Initiative 2045 appears to be one of the first broad attempts at driving into that realm. Defster Note: Ofcourse none of the exciting technologies of the future will happen if we let the pomo's and neo-luddist premo's win.